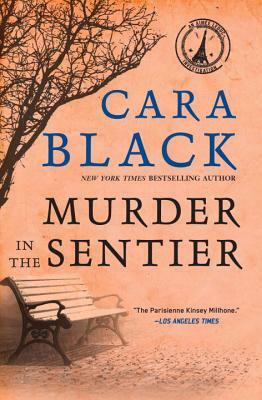 When Parisian private investigator Aimée Leduc picks up the phone one hot July afternoon, the call turns her life upside-down. The voice on the other end, with its heavy German accent, belongs to a woman named Jutta Hald. Jutta claims to have shared a jail cell with Aimée’s long-lost mother, a suspected terrorist on Interpol’s most wanted list. If Aimée wants to learn the truth about her mother, she is to meet Jutta at a rendezvous point in an ancient tower in the Sentier. But when Aimée arrives, Jutta is dead, shot in the head at close range. Aimée realizes she has stumbled into something bigger than Jutta let on, and that her own life is in danger. She has a lot of unsolved mysteries in front of her: Jutta Hald’s murder, resurfaced materials from Sydney Leduc’s terrorist activities in the 1970s, police suppression of important information. The question is, can Aimée put the pieces together before someone else ends up dead? Cara Black is the author of sixteen books in the New York Times bestselling Aimée Leduc series. She lives in San Francisco with her husband and son and visits Paris frequently.